The Missile Defense Agency and the U.S. Army tested the interoperability between the Terminal High Altitude Area Defense and the Patriot systems through a missile defense tracking exercise. The MDA said Friday the Ballistic Missile Defense System’s Operational Test Agency supervised the Flight Test Other-35 that supports the materiel release of THAAD 3.0 software updates and the assessment requirement of the 2016 National Defense Authorization Act. 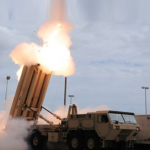 The exercise involved the simulation of a live short-range Lynx target launched from White Sands Missile Range that was detected and tracked by the Patriot and the THAAD’s Army-Navy Transportable Surveillance Radar Model 2. Soldiers from the Army’s 69th Air Defense Artillery Brigade operated the missile defense systems that employed tactical data links to share and exchange information during the exercise. 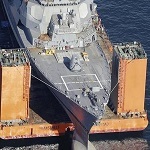 The developmental and operational test did not include live intercepts. The 2016 NDAA mandates the MDA and the Army to conduct a yearly evaluation of the integration and interoperability of the THAAD and Patriot weapon systems.